Lending Club investing is a lot more complicated using foliofn than it would be if you could invest directly. That’s too bad, but I think your method is a sound alternative. It’s interesting that you mentioned ethical investing. I’ve questioned that as well with P2P lending but ultimately realized that it’s no different than buying bonds (that fund wars i don’t support), or buying stock (funding the consumerist culture). in fact, if P2P lending gets people out of a personal bind, it might be the most ethical investment. Excellent analysis. I need to try out Social Lending. Is there a reason you went with Lending Club instead of Prosper ? @brave new life: One of the things I like most about P2P is that you have a choice in where you put your money (as opposed to, say, a mutual fund) and can choose to try and help those who are trying to better themselves. It isn’t a surefire thing, but gotta do what you can. @Tushar: Both Lending Club and Prosper have the same issues with regulation. As far as I know, Lending Club is the only one with a secondary market like foliofn so I went with them. I am a Lending Club borrower…and have thought about the investing side. Thanks for the analysis. Thanks for this primer BB. I’ve been meaning to educate myself on P2P for quite some time. It has much more of a community feel to it than does investing in a bank that loans to people. That is a pretty good screening method. 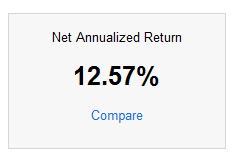 I’ve had pretty good returns with both Prosper and Lending Club but I’ve mostly picked my loans somewhat at random. @Tushar/@B.B., Both Lending Club and Prosper operate (separate) secondary markets through Foliofn. The big difference is that Prosper only allows the secondary market in the same states where it has a primary market. Lending Club allows about 18 additional states in their secondary market. So I am guessing that B.B. had only one choice for p2p lending: Lending Club. I think you have done a good job screening for loans. The only thing I would add is to check the original listing for Number of Credit Inquiries = 0. My research has shown that this has a definite positive impact on ROI. @Peter, I made the switch when Prosper was still in the “Quiet Period” so didn’t even know they had a secondary market available. I’ll probably still stick with Lending Club, mostly because I’m already set up there, now. And, if tProsper doesn’t let any of the non-primary states in, I’m still out of luck anyways. What I’ve found in the foliofn system is that if you’ve sorted the list by one of the columns and then click on a particular loan to see more details, you lose your sort and have to struggle to find the loan again when you go back. So, I progressed to just not looking at the loan itself when purchasing. There are usually only about 3-4 that fit my requirements at any given point in time anyways, so the difference would be pretty minimal, I think. Thanks for the well researched article. I too, like SPF need to look more into P2P lending. It really is an ethical way to invest. I like how you can directly help people in communities and see the results of your investment. It’s like charity with a twist. Also, thanks for including a link to my post on ethical investing. I really appreciate it and I am glad it got you thinking. @BB, Yes when Prosper reopened after their quiet period they included the secondary market for the same states as the primary market. I am glad you pointed out that bug in Foliofn – it is really frustrating to me they do that. I know Lending Club are planning on some changes to their Folio system, I hope that is one thing that gets fixed. Thanks for the update, I hope you continue to keep us informed of your progress. Great post. I’m a huge fan of your detailed articles. I haven’t tried the P2P lending yet, but I can’t wait to give it a go. That’s an attractive return. How time consuming is it to manage the loans? It’s not all that time consuming, Barb. I only make an investment about once every other week or so, and when I do, it usually takes about 15-20 minutes. If I had full access to the site, instead of only being able to use the foliofn, it might take longer wading through the info, but as it is, it’s a pretty quick process. It’s always interesting to see inside another portfolio. Thanks for sharing your Lending Club strategy. I love the idea about ethical investing. Great advice! I am moving towards As and Bs so chargeoffs are reduced. I lend $25 per note. Through youtube and twitter I have found some good filter choices like staying away from home improvement loans and business startups.